إذا كنت تبحث عن فندق بموقع جيد في جولد كوست، فقد وجدت ضالتك في Hillside Country Retreat . يمكن من هنا للضيوف الاستمتاع بسهولة الوصول إلى كل ما تقدمه هذه المدينة النابضة بالحياة. بالنسبة لمن يريد الخروج، هذه بعض المعالم السياحية المتوفرة للزوار تامبوراين ماومنتن, The Cedar Creek Estate Vineyard & Winery, Mount Tamborine Vineyard & Winery. إن Hillside Country Retreat حريص على توفير الراحة للنزلاء، فلا يوفر الموظفون جهداً في تقديم أفضل الخدمات وضمان حسن الاستقبال. إن تسجيل وصول/خروج سريع, تخزين الأمتعة, صف السيارات, غرفة عائلية, جولات هي جزء فقط من الخدمات التي تميز Hillside Country Retreat عن باقي الفنادق في المدينة. لقد جهزت هذه الإقامة الفندقية بعناية فائقة لتوفر مستوى عالي من الراحة. في بعض الغرف يجد النزيل تلفزيون بشاشة مسطحة, كرسي عالي للأطفال, قهوة فورية مجانية, شاي مجاني, بطانية كهربائية. يقدم الفندق مجموعة واسعة من وسائل الراحة المتنوعة، كمثل: مسار جولف - ضمن 3 كم, حديقة. يشكل Hillside Country Retreat بخدماته الراقية وموقعه الممتاز، قاعدة مثالية للاستمتاع بإقامتك في جولد كوست. Very nice cottage but quit far from city. Suitable for nature lover! We spent 3 nights here after Christmas, Lorraine & Darryl were wonderful hosts. We wanted to get away as I had been away for a few months working and needed some quiet time after Christmas. What a perfect place to do it. Highly recommended if you want some R & R without seeing another person unless you want to. We needed somewhere quiet to prepare for our journey home after 8 weeks and 5,000 mile trip in a camper van. Gum Nut Cottage was the perfect place. We had plenty of room and everything we needed in this very well equipped unit. The views were wonderful and were left undisturbed for our 3 night stay. The staff/owner of the retreat are very helpful and nice. A place that with amazing view but i little bit far with the main street of Tamborine. Hosts are amazing, location is beautiful, peaceful and private yet still connected .. loved it ..
A nice little place, amazing views, but no aircon, can get very hot during midday in Summer. Fantastic friendly owners, awesome view. It's like staying in the country side. I love the fire place. Such a gorgeous cottage with amazing views and warm hospitality, thank you again! We will return. The owners were very nice people and maintain their accommodation to a high standard. It is self contained and comfortable with a lovely view over the Gold Coast. Being self contained meant we looked after our own food. The view. Lovely room. Great Owners. Couldn't fault it. Great place to stay. 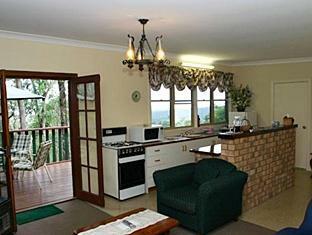 The retreat is located in a beautiful section of Mt Tambourine where is has unobstructed and absolutely fantastic views down to the Gold Coast and over the NSW border. The accommodation options are very self-contained with their own kitchen, lounge room and bathroom allowing for a lot of privacy despite being a B&B. Breakfast was limited to cereal and juice which was a welcomed addition as it wasn't expected as part of the booking. Also provided in the room was free locally produced port and ground coffee. The owners were very friendly and everything was meticulously cleaned and maintained. Unfortunately the retreat was up for sale when I visited, I only hope the future owner shows the same dedication. I would strongly recommend people book the Gumnut Cottage to get the most out of the view. 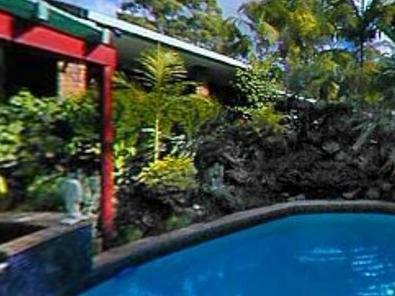 Stay for several days to allow for you to explore the Mt Tambourine community and rainforest.